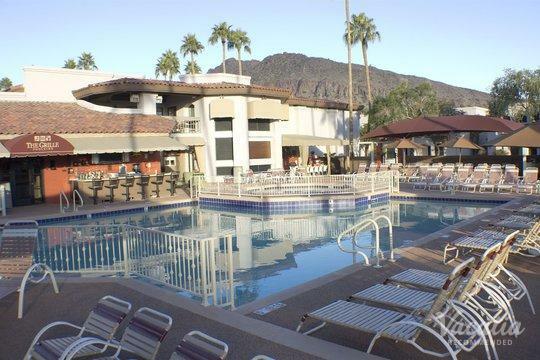 Scottsdale is all about finding those perfect moments that make you feel renewed, enriched, and energized. It's about making memories to delight and inspire you for years to come. 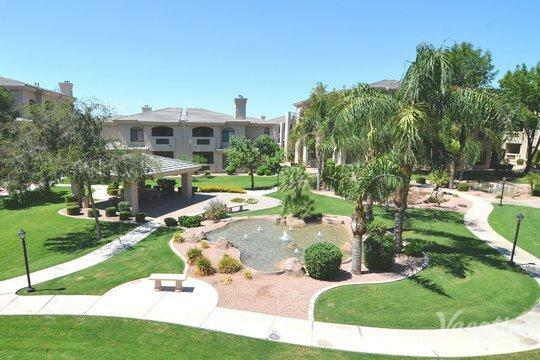 Scottsdale is a city of passion and excitement. As you start making plans for your upcoming vacation here, you'll want to leave plenty of time to find good accommodation. You can find many options online - so many that it can be a chore to sort through them all. 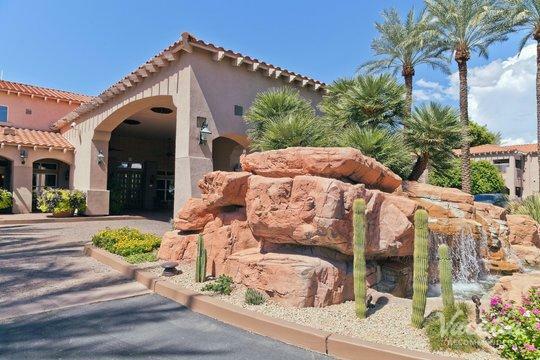 Fortunately, Vacatia's extensive and detailed listings are comprehensively organized, so you can find Scottsdale resorts quickly and easily. 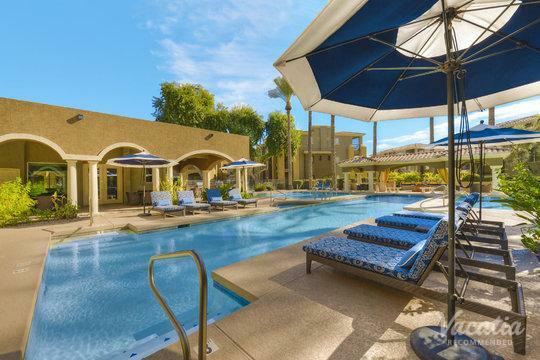 All of our resorts in Scottsdale have been highly recommended, and our helpful Guest Care team is always available to answer your questions via online chat. Work with Vacatia and find out for yourself why our many satisfied customers book with us time and again. 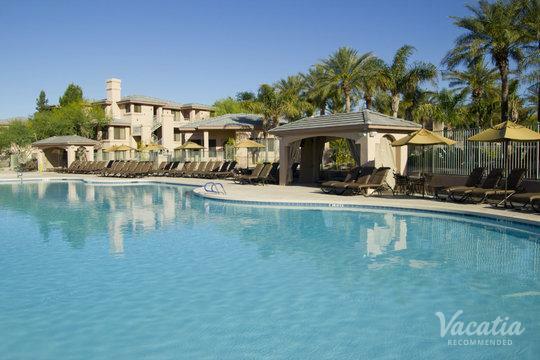 Scottsdale resorts are a great place to kick back and indulge. 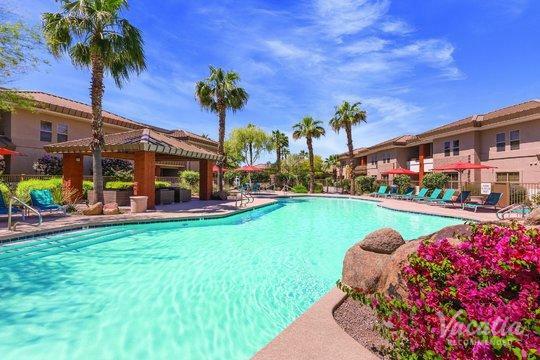 This ritzy city is known for its luxurious resorts, which come with all those resort benefits: gourmet on-site dining, relaxing spas, room service, daily housekeeping, concierge check-in, great pools and waterparks, and more. Some vacationers, however, also want the relaxation and comforts of home. With Vacatia's resort residences, you get the best of both worlds. In addition to high-end resort amenities, you'll get your own kitchen, living room, dining room, and often an in-unit washer/dryer. You'll be able to cook breakfast, lunch, or dinner. You can hang out with your friends and loved ones in your spacious living area. With a washer/dryer, you can pack a bit lighter and keep things fresh with a quick load of laundry. 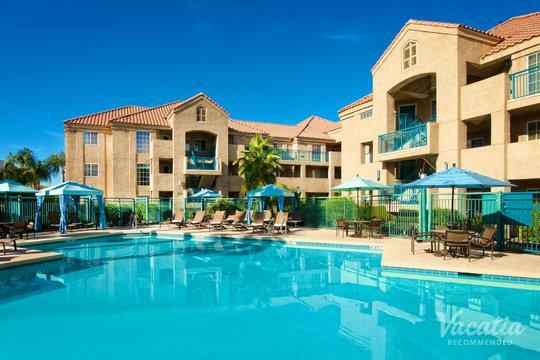 You can have it all when you book with Vacatia. 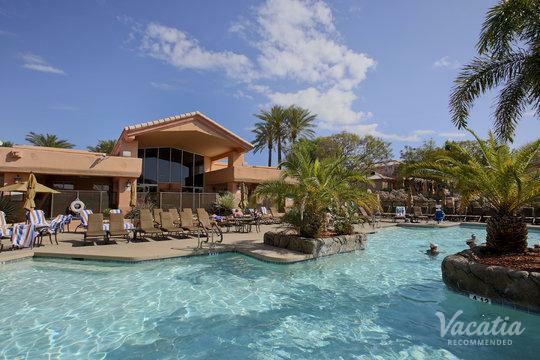 From the minute the first rays of sun reach across the Sonoran Desert to the wee hours of the night, Scottsdale is full of intriguing activities and attractions. 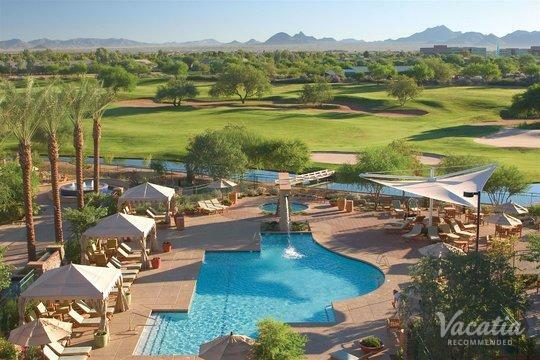 From championship golf and outdoor adventures to high-end spa treatments and shopping, your days in Scottsdale can be as relaxing or as active as you like. 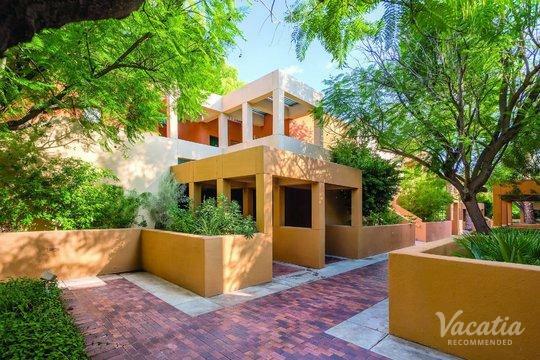 The city contains a celebrated public art initiative, premier performance venues, the Scottsdale ArtWalk, architectural wonders, and acclaimed museums. 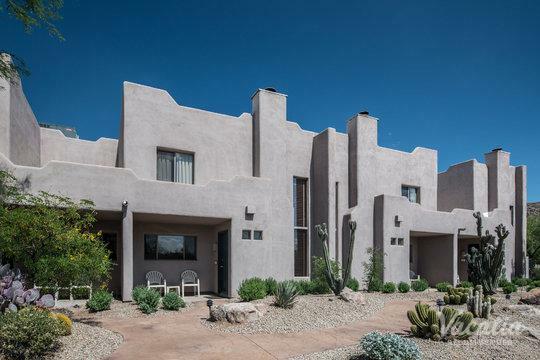 You can hike through the McDowell Sonoran Preserve, splash through the rapids on a white-water raft, or head out for the desert's most untouched expanses by horseback, Hummer, or Jeep. After the sun sets, the happy hours continue without cease in over 80 clubs, restaurants, and lounges.